You know who I don’t like? Oprah. I mean, I like that she’s at the top of a field that normally rejects women, African-Americans, and people who have a BMI higher than 18. And I like that she’s made a zillion dollars doing what she loves and chooses to spend a lot of her cash on people who need it more than she does. But, she also thinks she’s God. However, she does like a damn fine martini. 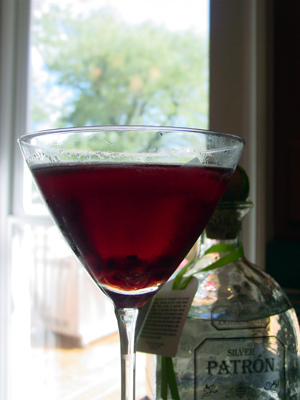 Nancy made Oprah’s Pomegranate martinis for the party and we drank many, many, many of them. They’re beyond delicious. Shake ingredients in a shaker and put in chilled martini glasses. Put pomegranate fruit into glass as garnish. Serves 2.